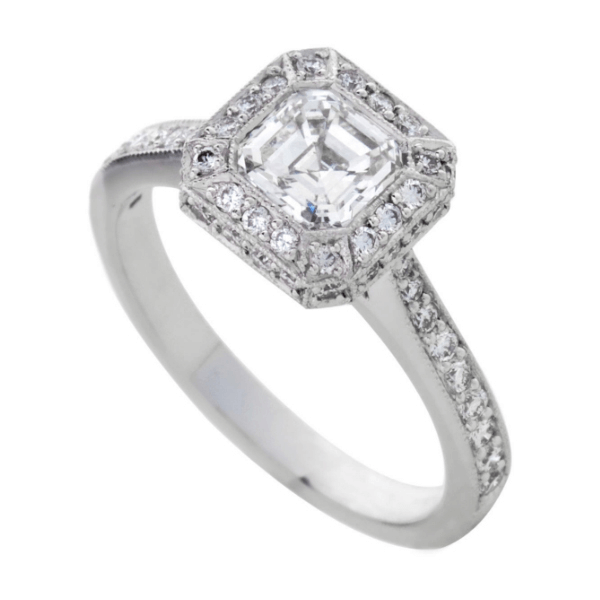 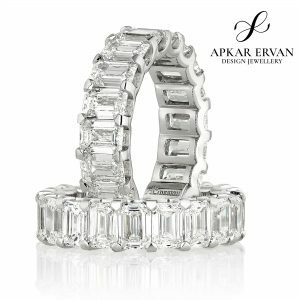 Art Deco style engagement ring featuring an asscher cut centre diamond surrounded by small round diamonds and delicate millgrain detail in edge of the halo as well as the halo and the band. 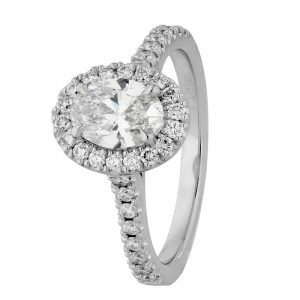 This ring can be made to suit any size or shape centre diamond or gemstone. 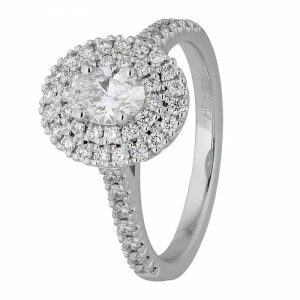 Pricing for this design starts at $3300 + GST (excludes centre diamond). 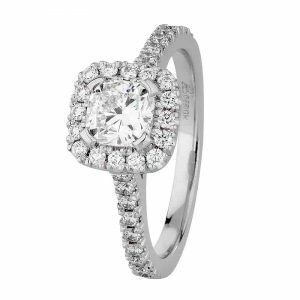 Enquire now for your obligation free customised quote.